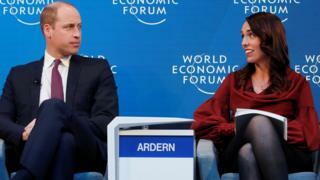 Prince William will travel on behalf of the Queen in late April, at the request of New Zealand's Prime Minister, Jacinda Ardern, Kensington Palace said. The palace said William would also "pay tribute to the extraordinary compassion and solidarity" displayed by New Zealanders in recent weeks. And in a joint message, the Duke and Duchess of Cambridge and the Duke and Duchess of Sussex, Harry and Meghan, said: "We have all been fortunate to spend time in Christchurch and have felt the warm, open-hearted and generous spirit that is core to its remarkable people. The programme and exact date of William's visit will be announced in due course, Kensington Palace said.